77 WATER STREET at Old Slip. 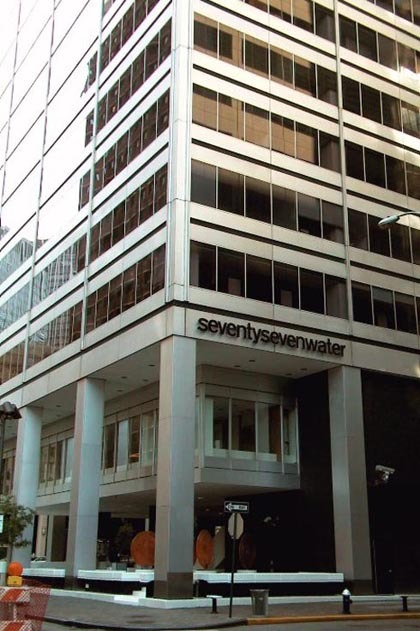 Situated in the heart of the insurance district, 77 Water Street occupies the entire East side frontage of Water Street between governuer lane to the North of Old Slip to the South. The property runs all the way through the block to Front Street on the East, covering approximately 60% of an acre.77 Water Street is located at the foot of Wall Street. 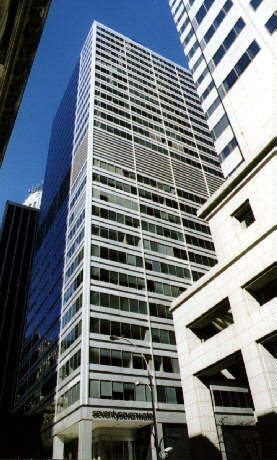 77 Water Street is strategically favored to business. Five blocks to the West along Wall Street is the New York Stock Exchange. Just beyond are the World Trade Center and World Financial Center. The worldwide headquarters of Morgan Guaranty Trust Company, Goldman Sachs, NatWest USA, Prudential Insurance, AIG, and Bank of New York are all within a short walk. City Hall, the seat of Government for New York City is within walking distance, and just beyond are the Municipal building and the New York Supreme Court, the Federal District Court and several other Federal, State and local agencies. The biplane on the roof sculpture was designed by some guy named Rudolph de Harak and executed by the sculptor William Tarr in 1969 (thanks Jack Ryan). 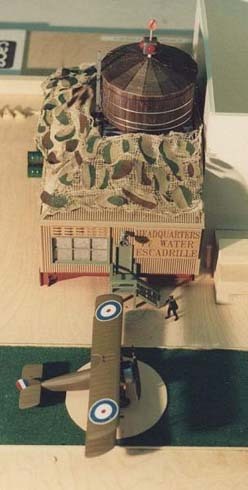 Apparently it's a full-size model of a WW1 Sopwith Camel, complete with runway. It was put there to amuse inhabitants of surrounding scyscrapers, notably the WTC. ...the biplane on the roof of 77 Water Street in Lower Manhattan, a playful touch installed by the developer, the William Kaufman Organization. ...77 Water Street. On each of the four corners of this modern, plaza-style building is a contemporary sculpture. We like the one directly in front of you on the southwest corner: William Tarr’s gentlyswaying Rejected Skin, 1969. The roof of 77 Water Street has long been a mystery to me. Randomwalks editor Go Vegan and I used to look out our bosses window, just a level above what appeared to be this fake plane on a fake runway. But thanks to the book "New York 1960, Architecture and Urbanism Between the Second World War and the Bicentennial," we now know that the model sopwith camel plane was built "solely for the delight of denizens of neighboring skyscrapers." 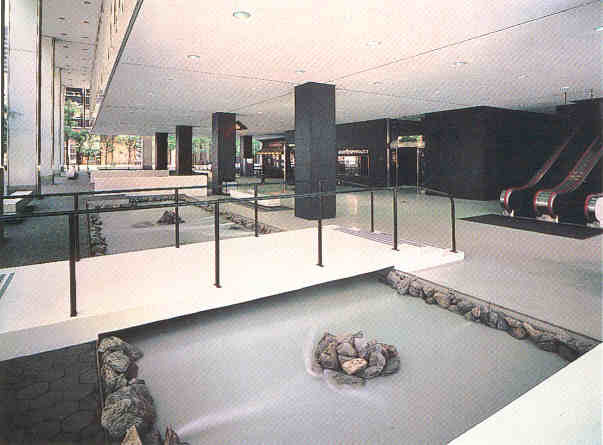 Also, in case you've ever wondered about the weird area surrounding 77 Water: "At street level, in addition to water pools traversed by bridges, the designers provided a replica of of an old fashioned candy store that would provide a functioning symbol of an earlier, more personable urbanism. The Corchia-de Harak firm also designed 'heat trees.' illuminated metal umbrellas that would render the open space under the building more usable in the winter." Part of this "candy store" includes handsome round payphone booths that I've always enjoyed using. 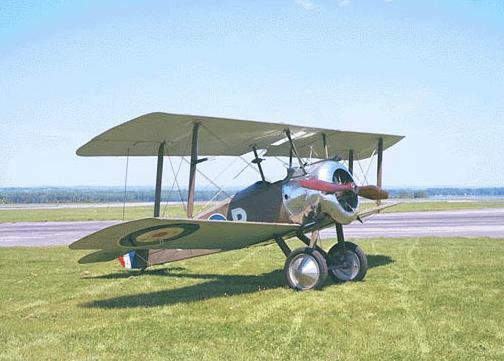 As the successor to the Pup, the Sopwith Aviation Company produced a fiery, temperamental little biplane, the famous, and notorious, Sopwith F.1 Camel. In the hands of an experienced pilot the Camel could out maneuver any contemporary airplane, with the possible exception of the Fokker Triplane. From July 1917, when it reached the Front, until the Armistice, the Camel accounted for no less than 1,294 enemy machines. It was the first British type to carry twin Vickers guns; their breeches were enclosed in a 'hump', which gave the Camel its name.